The U.S. Travel Association is a dynamic, mission-driven association committed to increasing travel to and within the United States. U.S. Travel offers excellent benefits and a friendly, supportive environment where individual contributions are highly valued and the collective goals of 1,200-plus member organizations are advanced. U.S. Travel seeks staff who are committed to creating excellent work and contributing to a positive workplace culture. The office is conveniently located near Metro Center in downtown Washington, D.C.
U.S. Travel is currently hiring. This position is responsible for fulfilling administrative functions of the Communications Department and assisting the media and strategic communications team with writing, editing and formatting association messages for distribution across multiple platforms. 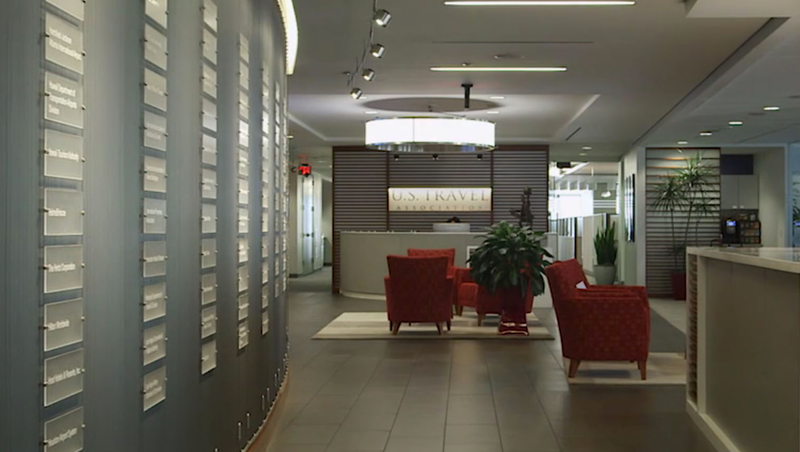 U.S. Travel Association is a winner of multiple "Best of" awards for its communications practices and the incumbent is responsible for continually advancing these efforts. Teamwork: Demonstrating and promoting a spirit of cooperation within and outside work unit; working together toward a common goal; building good relationships with internal and outside work units; building good relationships with internal and external contacts. Communication: Conveying written and oral communications effectively; negotiating and mediating effectively; sharing information; listening attentively and responding appropriately. Initiative: Recognizing the need for action; confronting issues and taking appropriate action; pursuing an issue until the problem is solved. Problem Solving: Identifying problems affecting the work unit or U.S. Travel Association; taking early corrective action to avoid problems; generating new ideas and practical solutions. Bachelor's degree is required in Communications, English, Journalism, Political Science or related field, and a minimum of one year professional experience in communications. Knowledge of the travel industry and public affairs a plus. Skills desired include: Mastery of Microsoft Office products; Beginner to intermediate proficiency in Adobe Creative Suite; Familiarity with AP Style, HTML, Dropbox and Google Drive. To apply please submit your cover letter, resume and reference list to careers@ustravel.org with "Coordinator, Communications" listed in the subject line. High-profile Washington, D.C. trade association seeks a curious, analytical and highly motivated intern to assist in a fast-paced research shop. The average weekly hours for research intern will be between 20-25 hours. Data collection and manipulation for advocacy support, market research and economic studies. Research, download and manipulate data from economic and statistical database issued by federal, state and local government agencies, industry associations, universities and other research organizations. Research and develop content for monthly newsletters. Provide quality assurance review for economic impact studies, questionnaires and other research reports. To apply please submit your cover letter, resume and reference list to careers@ustravel.org with "Intern, Research" listed in the subject line.